Like a flying dagger that magically finds its way to the target this amazing movie reaches accurately and deeply into the heart of all existence - LOVE. For the Bible does not only praise love at the limits of human languages as in 1 Corinthians 13. Bible does not only say that God loves the world (John 3:16) or that love is from God (1 John 4:7). 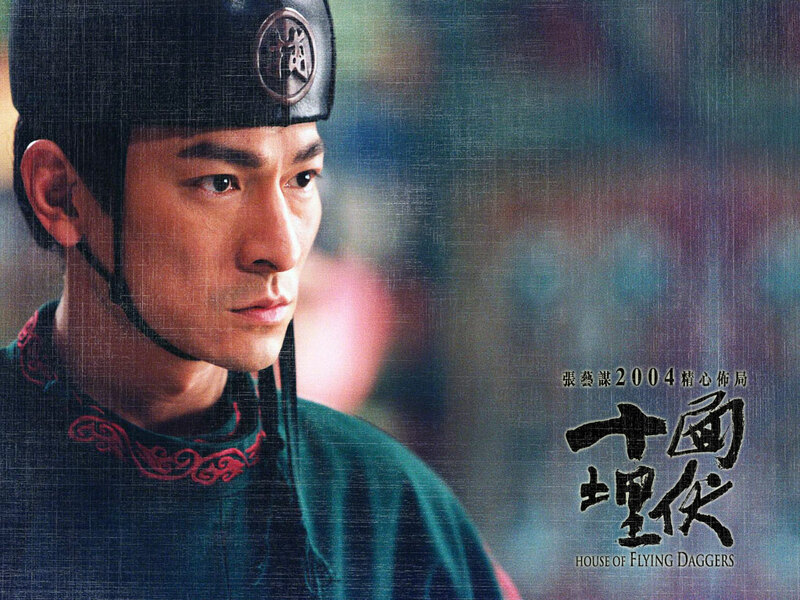 In the midst of the gorgeous palette of colours, bamboo green or the glory of autumn trees, Chinese clothing taking directly from authentic paintings, bloody beautiful weapons skilfully handled, arrows, swords, daggers, martial art that actually brings art into it - the cinematic narrative of master Zhang Yimou brings us, the viewers, in simplest terms to the greatest mystery of all - the mystery of love. "How could you fell in love with Jin in only three days?" What was missing from the relationship between Leo and Mei? 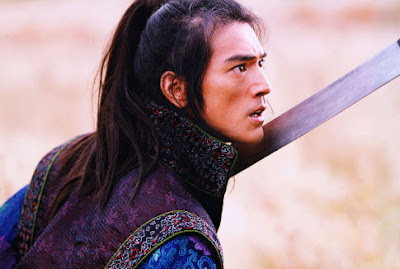 Jin (Takeshi Kaneshiro) is like free wind, no commitments with the ladies, life goes on. And yet, love stopped him dead. Really, what is this thing, love? "If I cannot have you, Jin shall definitely not have you." Such things happen, love's labour is lost and consequences can be devastating. Stuff for real life tragedy. Mei pulls the dagger out of her chest and blood starts to stream from the wound. She dies in order to save the life of Jin. This marvellous movie does not try to explain what is love, it shows love in action. And we all, regardless of our race, culture, historical period (Tang dynasty or other), understand. There is something fundamentally similar in all us humans that responds to love. We all somehow understand that Mei chooses Jin instead of Leo although we do not know exactly why. Both most brave and handsome warriors, but there is this mysterious thing called LOVE. "Why did you return, I told you not to return back"
The movie received twenty minutes of standing ovations after screening in Cannes Film Festival. It definitely deserved those from a highly critical audience. Christmas - Light to the world! What's with these Chinese, anyway?